The Bumblebee Conservation Trust was established because of serious concerns about the ‘plight of the bumblebee’. In the last 80 years our bumblebee populations have crashed. Two species have become nationally extinct and several others have declined dramatically. Bumblebees are familiar and much-loved insects that pollinate our crops and wild flowers, so people are rightly worried. We have a vision for a different future in which our communities and countryside are rich in bumblebees and colourful flowers, supporting a diversity of wildlife and habitats for everyone to enjoy. A growing number of committed supporters are helping our small team of staff make a big difference. We have over 7,000 members and are growing fast. Support the conservation of all bumblebees, rare or abundant. Bumblebees are an important and cherished component of our biodiversity. Several species are threatened with national extinction. We aim to ensure that populations of these species have a long-term future in the UK. Our commoner bumblebee species contribute significantly to our economy through the ecosystem service that their pollination of crops provides. Pollination is vital for many of the nation’s wild plants and it helps to maintain affordable five-a-day fruit and vegetables. Bumblebees also support the wider ecosystem through pollinating a diversity of wild plant species. We aim to halt and reverse declines in the UK’s bumblebees. Raise awareness and increase understanding about bumblebees and the social, economic, environmental and cultural benefits which they and other pollinators provide. Much enjoyment can be gained from an appreciation of bumblebees. Their pollination service is also a clear and compelling example of the link between biodiversity and human health and welfare. We aim to increase the knowledge of the general public and policy makers such that they appreciate and value bumblebees and biodiversity more generally. Ensure BBCT is sustainable, fit for purpose, and able to respond quickly to challenges and change. 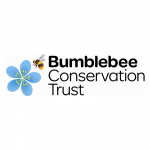 BBCT’s work to support the conservation of bumblebees and awareness of the importance of bumblebees can only be achieved if the organisation is fit for purpose and able to respond to new challenges. We aim to ensure that the organisation is sustainable and effective.